Read more about our latest events, new, and products. 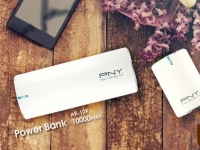 PNY Technologies Inc., leading manufacturer of memory modules, flash memory cards, USB drives, solid state drives, graphics cards and mobile accessories is proud to introduce their latest power bank models VK-11K/VK-15K, exclusively to Indian consumers. The VK-11K/VK-15K Power Banks are colorful and sleek portable chargers that allow you to utilize your smartphones more extensively or for prolonged periods of time. 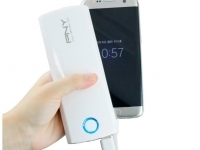 Nowadays, power bank for mobile phones have become a must have gadget for all smartphone users. Power Banks are a lifesaver when your phone’s battery life depletes and eventually shuts down leaving you stranded and cut off from your important phone calls, messages or appointments. 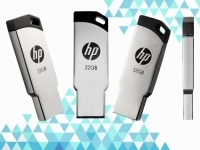 PNY Technologies Inc., leading manufacturer of memory modules, flash memory cards, USB drives, solid state drives, graphics cards and mobile accessories has released the perfect storage device for users who are looking for flash drive with an elegant and long lasting design, the HP v232w USB 2.0 flash drive. With high-quality metal outer casing and a slim, streamlined outline, this pocket-sized pen drive can store massive amount of personal data, movies, images, music in its 64GB memory space, while comfortably fitting inside your back pocket or wallet. 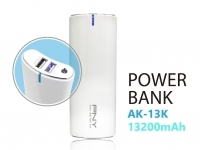 PNY Technologies (PNY) considered one of the worldwide leaders in consumer electronics market and flash memory products, is proud to announce the launch of Power Bank AK-6K and AK-10K. The AK-6K and AK-10K are portable battery chargers that give you the freedom and power to re-juice while you’re out and about without the need for a wall outlet. Every smart phone owner is familiar with the dreaded experience of not having enough phone battery or drained battery during the middle of the day. PNY Technologies (PNY) considered one of the worldwide leaders in consumer electronics market and flash memory products, has officially released the good-looking, slim and powerful HP v236w flash drive. 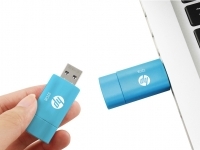 The HP v236w gives you the storage, performance and power you need to store, back-up, transfer or share your favorite pictures, videos or music and to secure your private data. It is ideal for students of all ages, traveling professionals and everyone who has a need to share a file or a photo with friends and colleagues. PNY Technologies (PNY) considered one of the worldwide leaders in consumer electronics market and flash memory products, has launched the ideal storage device for your iPhone’s storage solutions. The more you use your iPhone, the more apps, photos, videos you're going to accumulate. Eventually, you're going to run out of room and have no more memory space to download new apps or videos. 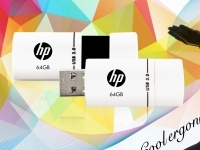 PNY Technologies (PNY) considered one of the worldwide leaders in consumer electronics market and flash memory products, has released the super-speed HP x765w flash memory drive with USB 3.0 specifications. The HP x765w is a great storage option, especially in larger capacities, so you can use that high-speed port to transfer large files or stream media. Designed with a compact body and enhanced portable features, the lidless flash drive is the perfect backup storage for all your digital needs. 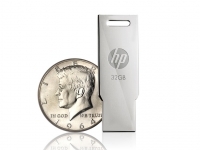 PNY releases HP v152w USB Flash Drive. 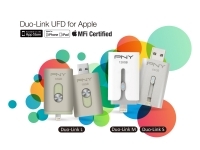 PNY Technologies (PNY) considered one of the worldwide leaders in consumer electronics market and flash memory products, has officially released the light and portable HP v152w USB Flash drive. The HP v152w is the ideal storage device for storing your images, music and files or documents, ready to be carried around in your pocket or wallet, wherever you go. 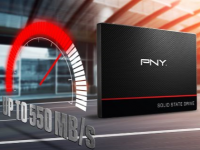 PNY Technologies (PNY) considered one of the worldwide leaders in consumer electronics market and flash memory products, has released the fast speed, cost-friendly Optima RE Solid State Drives. The 2.5 inch SATA III drive with 6Gbps interface supports encryption and is capable of launching multiple operating systems and programs in seconds while preserving data longer. It increases your desktop or laptop’s speed immensely and provides lower latency, faster boot up and application launching. 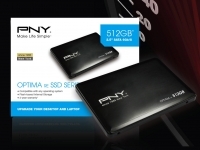 PNY Technologies (PNY) has officially launched their 2016 model of solid state drives, the CS1311 2.5 “ SATA III SSD. The CS1311 is the ideal replacement for users looking to upgrade from their normal HDD drive to their very first SSD without burning a hole in their wallet. The CS1311 drive is designed for an easy and cost-effective HDD replacement in the existing PC system to help realize faster boot times, quicker application launches and better overall system performance.